Farmer Ken Jones knew something was wrong when his pregnant ewe, Daisy, kept getting bigger and bigger. He assumed, reasonably, that she was carrying twins, or maybe even triplets. While she was carrying three times the baby, it wasn’t multiples. 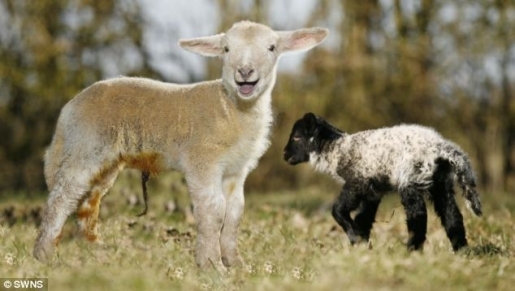 Instead, Daisy gave birth to a single lamb that was three times the size of normal baby lambs. Sally was born at a staggering 23 pounds, which is by far the biggest lamb ever born on Jones’ farm in East Huntspill, Somerset.